Its Critics Are Wrong. There’s No ‘Loophole’ in the ‘First Step’ Criminal Justice Reform Bill. 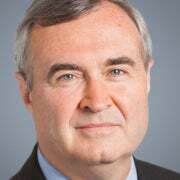 John G. Malcolm is the vice president of the Institute for Constitutional Government and director of the Edwin Meese III Center for Legal and Judicial Studies, overseeing The Heritage Foundation’s work to increase understanding of the Constitution and the rule of law. Read his research. Jason Pye is the vice president of legislative affairs for FreedomWorks. Mark Holden is chairman of Freedom Partners. Fred Barnes has expressed concerns over the proposed First Step Act and a supposed “loophole” in it that would give “shortened sentences” to dangerous criminals. Barnes, the executive editor of the center-right Weekly Standard magazine, is incorrect on several counts about this substantive criminal justice reform bill. First, the provision that Barnes thinks may be a loophole on early release is really about the opportunities for prerelease custody and supervised release. It has nothing to do with sentence length. Opponents of the bill have conflated normal re-entry procedures—procedures that are already occurring every day at the Bureau of Prisons—with an earlier sentence end date. That’s simply not the case. The Fair Sentencing Act’s retroactivity, a provision of the First Step Act, concerns sentence length—which is a very different conversation. We’re not sure where the quote about time credits in his piece is from, because it isn’t in the bill. As the relevant section of the bill reads, the prisoner must earn the credits through the programming created by the First Step Act, and must have shown “through the periodic risk reassessments a demonstrated recidivism-risk reduction or … maintained a minimum or low recidivism risk, during the prisoner’s term of imprisonment,” and have a computed final release date. That final requirement is a particularly high bar. “Federal wardens have never been known for being soft on criminals,” he writes. We consider that argument to be far-fetched. Third, this isn’t a secret loophole. This has been vetted by members of Congress and supported by our organizations and scores of others. The bill has been carefully crafted to make this option rare and extraordinary, as reading through the text makes clear. The latter statistic is something left out of an ORC poll question that Barnes cites about whether respondents supported or opposed reducing sentences for traffickers of hard drugs. Most people are unaware of two important pieces of that question that were conveniently omitted: 1) the average length of sentences; and 2) how “drug trafficker” is defined. In the federal system, anyone not charged with mere possession is a “trafficker”—from a drug mule to El Chapo. 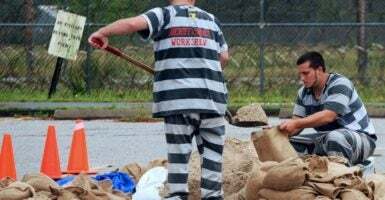 And in many instances, the sentences may be the same, or perhaps even longer, for lower-level drug offenders, who will not be offered significant plea bargains because of the lack of information they are able to share with the government. Furthermore, the people who play a minor role in a drug conspiracy can be charged by the weight of the drugs distributed by other members of the conspiracy, even if the defendant did not know who they were or what they were doing. This is one way that the federal system has grown so quickly. Finally, this is undoubtedly a conservative issue. Just ask the conservatives in Texas, South Carolina, Georgia, and several other states about this. For more than a decade, reforms that focus on reducing recidivism rates and increasing public safety have been wild successes for conservatives throughout the country. From Barnes’ comments, it appears that D.C. commentators may not be aware of—or may not care about—these important public safety issues happening in conservative states. However, for the millions of American citizens in conservative states who have enjoyed lower crime rates and lower costs to taxpayers, this is a major story that deserves recognition and a chance to work at the federal level. Our organizations support the reforms embodied in the First Step Act, because that’s true.